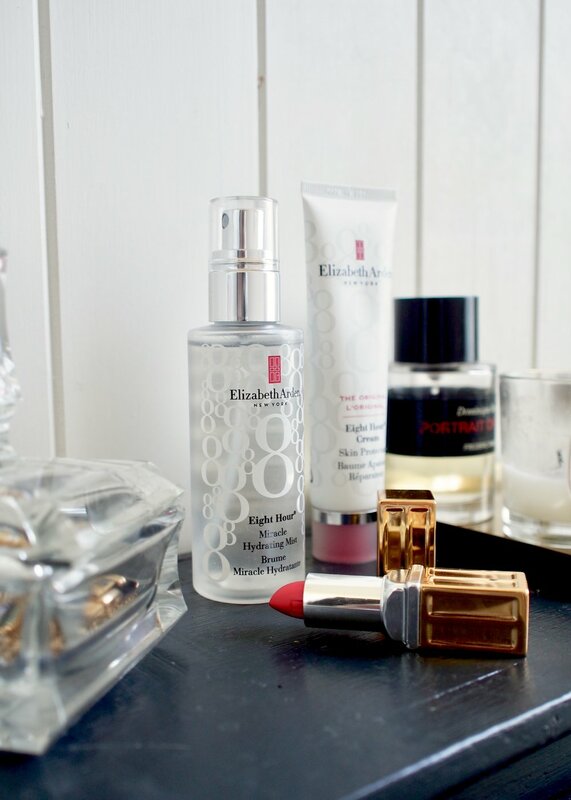 I’ve been using Elizabeth Arden products for years, starting with their iconic Eight Hour Cream becoming an essential part of my makeup kit at twenty years old. With this in mind I was excited to meet the people behind the brand. Time for a refresh, see what they’re up to and a chance to try and test their new products. I’m often excited about brands and products, after all it’s my job. But Elizabeth Arden had something really refreshing to tell me. It’s called A Red Door Speedy Service. You can enjoy a speedy 15 minute facial that leaves you feeling refreshed and renewed. It’s £15 and it's redeemable against any Elizabeth Arden purchase. No bookings needed as walk-ins are available in selected stores nationwide (these are usually in Boots or Debenhams). 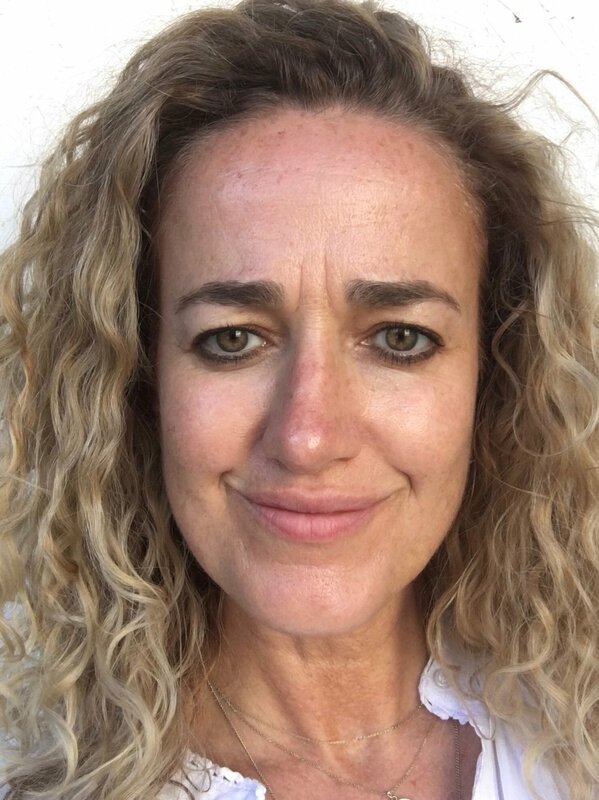 So you can just pop in on your lunch hour and buy anything you need from a mascara to face cream and you can treat yourself to a speedy facial while you’re at it. You actually get something for free which is very rare these days. And you’ll come out with glowing refreshed skin! Now I’m a big fan of facials but I generally only do mini ones on myself at home so going to Elizabeth Arden was treat. Most of their treatments are done in their concessions. Don’t let this put you off. The chair is discretely placed to create an intimate experience. Plus with the warmth of the beautician and their wonderful treatment, you’ll forget where you are in seconds. You can see below what they have to offer. I went for the Balancing Act followed by the Booster Bar as I’d always wanted to try a Customised Oxygen Blast. I loved it, everything they did felt amazing and their attention to detail was faultless. For instance, whilst my Superstart Mask (you can by these to use at home, highly recommended) was working its magic I was given a great arm and hand massage. You wouldn’t believe how much tension you hold in this area. It was so nice to pop in and see the results in your skin in just 15 minutes. I came out looking alive again, my skin was glowing, completely hydrated and plump so all my lines had softened. You can also discover their next-level skincare treatments in their Red Door Facial Bar. These treatments are distinctly designed for those who seek visible results. You can treat yourself with a wonderfully relaxing facial for skin that radiates a healthy rejuvenated glow. These are available in Debenhams Oxford Street only. So if your wondering what to purchase, here are some of the products that I tried, tested and loved! This award-winning skin protectant deeply moisturises and protects skin any time, any way you choose.Its versatile formula goes beyond moisturising, working wonders to shape brows, add shine to cheeks, soothe dry hands, smooth cuticles and nails, and more. Once you have a balm in your handbag, you won’t be able to live without it. This luxurious oil dissolves all impurities and makeup while nourishing your skin with essential lipids, including Omega 3, 6 and 9 and Vitamin E. This cleanser will leave your skin moisturised and hydrated. Powered by our superfruit blend, rich in antioxidants and vitamins, this ultra-fine mist leaves skin feeling reinvigorated and looking healthy. This is a perfect addition to any skin in warm waeather or all yer round when you want to refresh your skin. I often use it on my models half way through the day when they need a refresh. Pure. Potent. Precise. Our ceramide serum has triple the anti-aging power for visibly firmer, smoother, healthy-looking skin. I’ve been using it as the first part of my skincare before I moisturise. When my skin has been very dehydrated I apply the capsule, then an oil and then my moisturiser. Acting like a liquid magnet to instantly lift and remove impurities, the detox mask resurfaces skin and enhances its natural detoxification system. This is a great mask when you want to remove layers of pollution or suncream. It also brightens your skin and minimises your pores. This concentrated moisturizer with advanced Idebenone technology, helps nourish your skin’s natural moisture defenses and reverse dryness while easing visible signs of aging and protecting you sun damage. A long-wear and water resistant formula that effortlessly coats lashes to separate, extend and intensify their appearance. Glow all year round. This four-in-one compact effortlessly blends together to create a natural bronzed effect. Use separately to enhance features: highlight, blush, contour and bronze for a healthy glow. This is a great addition to your handbag to minimise the amount you need to carry. Glow on. This all over bronzing gel is infused with golden pearls to illuminate skin for a gorgeous, radiant summer glow. Skin looks radiant. Use this product once or twice a week if your face is paler than your body after using suncreams, It will also be great in winter when your skin looks dull. Keep lips moisturised all day with a single swipe of long-lasting, high pigment color that’s comfortable to wear and sumptuously soft. I’m loving the Neo Classic coral for a summer red.